I found this website a few years back and I've been coming back ever since for various products as they are updated. The prices are reasonable and the customer service is actually easy to get a hold of. I haven't had a problem with any products so far, but I have called them to ask about future items and they pick up right away. Plus, they are friendly and helpful. The products are always of high quality and reasonably priced. 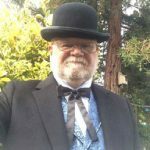 If you're one who works in theater or perhaps you simply like victorian clothes, I would HIGHLY recommend this website. I can never find any service like this that can provide me with victorian men's clothes at a decent price. I'll certainly continue shopping here and I invite anyone to give them a try. Excellent knowledge of individual garments regarding gray areas in size. I got a perfect fit. My original order t hat I received was broken and didn't work. I contacted customer service to take care of the issue. The service I received was the best I have ever gotten. It restored my faith t hat some companies actually do care about their customers and their customer happiness. I will definitely be recommending you guys to everyone I know and have already to a few people. It was the amazing customer service I received t hat made me really like your company. Anyone can have a great product at a great price but it is how you take care of your customer t hat is a dying art in companies now a days and it's sad.